Many Alaska smokers — nearly 70 percent of them — say they want to quit. The American Cancer Society’s Great American Smokeout takes place Thursday, Nov. 19. Now in its 39th year, the Smokeout presents tobacco users with a potentially life-changing day to choose to quit using cigarettes, other tobacco products and e-cigarettes. While the Smokeout is celebrated on only one day, many of those who quit for that day will stay quit. Alaskans are starting to use tobacco and e-cigarettes at a young age. A 2015 statewide survey of almost 1,500 Alaska high school students revealed that about one out of three teenagers currently smokes cigarettes or cigars, or uses smokeless tobacco or e-cigarettes. After years of seeing declines in tobacco use among Alaska teens, progress has stalled. The 2015 Youth Risk Behavior Survey showed that 11 percent of Alaska high school students are current smokers—the same percentage reported in 2013. That’s concerning because tobacco products remain the nation’s No. 1 cause of preventable death. Tobacco use kills more than 480,000 Americans and nearly 600 Alaskans each year from direct use and exposure to secondhand tobacco smoke. Commissioner Valerie Davidson of the Alaska Department of Health and Social Services discussed the new data about Alaska teen smoking and e-cigarette use at the Alaska School Health and Wellness Institute last week in Anchorage. Representatives from partner organizations all over Alaska attended, including the American Lung Association of Alaska and community organizations committed to reducing tobacco and e-cigarette use in their cities and villages. The Commissioner announced that more Alaska teens are using e-cigarettes than smoking cigarettes; on the 2015 survey, 18% of teens said they used e-cigarettes during the past month, while 11% of teens said they smoked cigarettes during the past month. Years of public education by the Alaska Tobacco Prevention and Control Program have increased knowledge about the harmful effects of tobacco use, including lung cancer and other respiratory problems. E-cigarettes are relatively new on the market, so the long-term health effects are not known. E-cigarettes are not regulated by the Food and Drug Administration, which makes it difficult to know what ingredients they contain. A growing number of studies show that the aerosol or “cloud” that comes from e-cigarettes has at least 9 chemicals that are known to be toxins or carcinogens, including nicotine, formaldehyde, lead and acetone. Studies are being released indicating the potential for e-cigarettes to get young users addicted to nicotine, resulting in increased use of tobacco and conventional cigarettes. Quitting tobacco and e-cigarette use can be difficult, but the chances of success increase considerably with help. Alaskans have access to the free Alaska Tobacco Quit Line, at 1-800 QUIT NOW, which provides personal coaching support and FDA-approved nicotine replacement therapy. 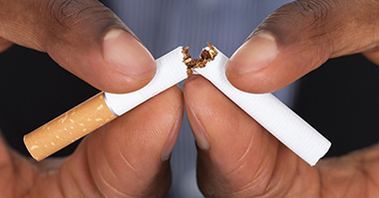 Quit Line coaches are specially trained for nicotine addiction counseling and can provide tips to help tobacco users eliminate tobacco and nicotine from their lives. Text2Quit gives people who are quitting tobacco use the opportunity to work with a quit coach through their mobile phone. Text2Quit features a series of interactive text messages — including tips on coping skills, games, quizzes, and motivational and educational reminders — that are personalized to a person's quit plan. Web Coach is an online program with an extensive array of support tools, including connecting online with a Quit Coach or with other tobacco users who are looking to quit; engaging with other participants through forums, blogs, profile pages and articles; and using Quit Tracker to chart progress and see how much money has been saved since quitting tobacco. Alaska Department of Health and Social Services. 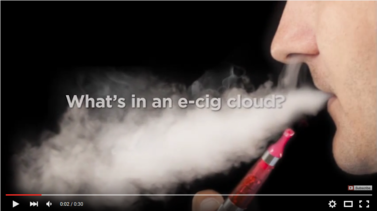 E-cigarettes: a review of the literature. 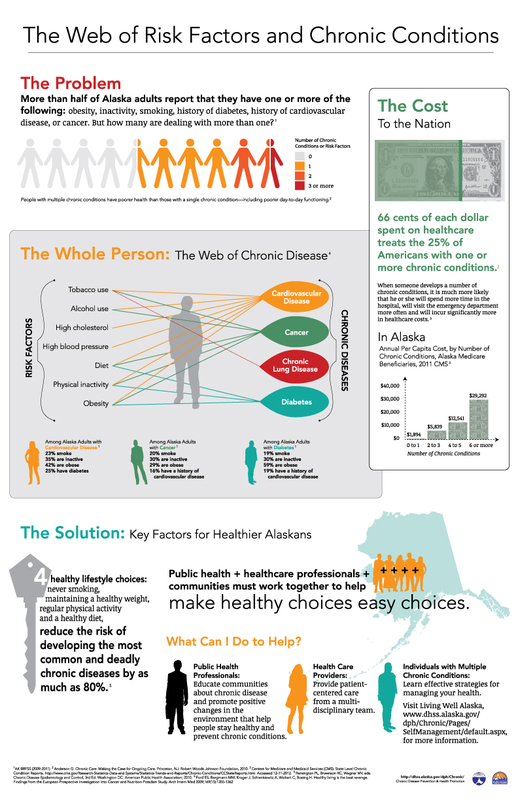 Anchorage, AK, Section of Chronic Disease Prevention and Health Promotion, Division of Public Health, Alaska Department of Health and Social Services, January 2015.